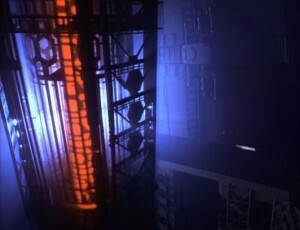 Enterprise follows a trail of energy readings to the Epsilon Mynos system, the legendary location of the hidden world Aldea, which turns out to be more than a myth. The planet drops its sophisticated cloaking shield and they are welcomed by a young woman, Rashella, who soon transports to the ship’s bridge with a much older man, Radue, First Appointee to Aldea. They have an intriguing, but ambiguous deal to offer the Federation crew.